Many Japanese people don’t have the opportunity to communicate with foreigners, so when they do, they tend to change their attitude a bit. Foreigners react in different ways to this — some feel they are being treated special, while others are uncomfortable. In this article, we introduce some examples from the website “MADAME RiRi“. What do you think? Please let us how you feel and share your experiences in Japan. Understandable, not all are bad though. Many foreigners are nice, just like I`ve met many nice Asians. I`ve met many not so nice foreigners but also some not so nice Asians. Just remember, people will be people wherever they exist but be you, and the right persons foreigner or not will appreciate you. Yes, the internet can be a nasty place but use it to help you know that that`s reality and you will meet people like that, don`t let it scare you. Live and enjoy your life and deal with the negativity when it comes. Agreed, it`s quite amazing how white foreigners complain when in Japan about how they are treated as foreigners To be honest, the Japanese are no where near as outright with their discrimination as say SOME whites who are bold enough to say it when you visit and then there are those who are much more subtle with it. Now they know what it feels like when they discriminate against someone for foolishness like appearances etc. (Asian, Indian, Arab etc) Maybe it will be humbling and they will perhaps be more empathetic. I completely agree with you, when I read the American comment about Japanese don`t learn about other cultures I felt like whaaat! They actually have the audacity to say that. When you think the entire Jamaica is the entire Caribbean, when you believe that the Caribbean is coconuts beach and sand, or that they try to appease their gods at festival (the gumption), when you think that everybody should speak “American” whatever that is, and when you don`t know that Islam/Muslim is a religion and not a race, and these people live around you in the thousands every day, you work with them, sit next to them on the bus and you live with this mindset in a diverse country, you should be ashamed to question another country`s not doing it. Home drums beat first, clean your house and then you can check another`s. While it is true that many Japanese, I have met have said that they have no interest in knowing about anywhere but Japan, there are still good people in the country like anywhere else. You don’t remember because you never bothered to learn the history! It’s fine, a lot of people on the internet change their personalities when they come online. Many foreigners are very nice and loving people, don’t be so scared we don’t bite! dominated is past tense it happened before so don’t go back in the past and blame the white people in the present. For all your belly aching, the tally is still in your favor when it comes to the kill score, so cry some more. Be dismissive. That just makes it easier to dismiss you. If a bullet blew your head open, I doubt anyone would miss you. I understand what you mean. A lot of people on the internet are unpleasant, and especially more vile to those from different nationalities, i guess that is just people taking advantage of anonymity. I am learning Japanese so i am pretty excited to see what it is like talking to Japanese people. You are a fuking weirdo, commenting 4 years later, get off the glass bowl. Mate, sounds like you need some R & R back in broken Blighty to remind you of why you have to work in Nippon…..
You can yourself a Brit? You can’t even spell pal. YOU ARE or YOU’RE. Typical English teacher. Underwhemingly unqualified. How much a pound is the stuff that you are smoking? ‘True emotion’ ? From a Japanese ???? What are you on? Yeah right. like a gaijin can assimilate in Nippon. And pigs fly too. Perfectly behaved, my left one. Language tutor ? Heard of a spellcheck mate? I get uncomfortable with foreigners because of the internet. So many people on the internet are racist to anyone different. Without other experience it is hard to know who is okay. Lots of scary comments made toward. Well look at it this way: white people are the minority in many parts of the world….but white people dominated most parts of the world. Through force. And set up these systems where native people didn’t even have rights in their own historical lands. So, that’s reversed and now the white people be running around screaming like hysterically. I’m just saying, people who travel are much better at understanding where other people in the world might be coming from mentally. But learning about others cultures is not the same as what you are suggesting. I agree with your statement when you say that multiculturalism can go to far but that strays off the topic. I would say that the U.S. is extremely patriotic, even going to the point where one would say nationalistic. Their kids are taught that the U.S.A. is the greatest country in the world. They should learn from their flaws and be taught more about other cultures instead. Wow, white people are actually one of the biggest minority race in the world, yet constantly been told were rude! What utter nonsense! Our country has a target system of letting people in, whereas till recently Japan wouldn’t take hardly any foreigners in. There’s 10% or more foreign born in UK yet in Japan less than 0.5% and the UK is rude!? Why irony? In the UK (where I’m from) and the US we have multiculturalism shoved down our throats, we have no choice.. Even schools in the UK have been marked down by OFSTED the schools governing bodies for NOT having enough foreigner’s in them!!! I’m dead serious too. Do you know how that feels? Apparently in our country if your not foreign born your “no good”. Tsk tsk, I’m English and I don’t remember anyone being FORCED to speak English! Wales and Scotland have there own dialect pretty much because you CAN do things how you wanted to. Wales HAD to speak English eventually because they couldn’t survive on their own especially after all the mines closed down. I think it’s a good thing for the foreigners who visit. They can take that experience and understand how, say, Asian people might feel by the treatment of White people when they visit or are citizens of majority White countries. Gives you some empathy and understanding. Hello, my name is Miss faith, I’m from USA. I want to inform you all that there is a spell caster that is genuine and real. I never really believed in any of these things but when I was losing Garvin, I needed help and somewhere to turn badly. I found consultant.odia spells and i ordered a LOVE SPELL. Several days later, my phone rang. Garvin was his old self again and wanted to come back to me! Not only come back, the spell caster opened him up to how much I loved and needed him. Spell Casting isn’t brainwashing, but they opened his eyes to how much we have to share together. I recommend anyone who is in my old situation to try it. It will bring you a wonderful surprises as well as your lover back to you. The way things were meant to be.” you can contact the spell caster on ogbonispelitemple@hotmail.com he’s very nice and great. ………………. When Japanese try to talk with foreigners, it’s just easier to tell the nips to stfu. I just depends on person. When I meet some older people in elevator or onsen they just start to talk with me some general talk, like weather and things like that. Sometimes they try to speak english or start to talk in english but when I say that japanese is ok, then we just continue talking in japanese and most of the times they’re relived cause they don’t know english well. And when I look troubled they come to me first asking me can they help me. First time I came to Japan i didn’t know hot to get from the station to the place where I’ll be staying so some japanese person walked with me for 10 min to that place even though i just asked him to show me the directions. And he went out of his way to walk with me for those 10 min, and calling people with whom I’m supposed to live. So I had many good experiences. And I have many japanese friends. I revisted osaka and tokyo last year after a long absense of 15 years and I personally feel that Japan today is much more friendly to foreigners. Most Japanese have travelled abroad and understand that english has become a sort of international language, and communication, albeit, with a lot of gesturing and apologies, is good enough for english speaking foreigners to feel engaged. Even as a tourist, you will often encounter kind folks attempting to help you out when they sense that you are in need of assistance. Strangely, it is the same when I was in germany recently, another country that suffers the same stigma heaped upon them. I think expectations of foreigners are too high. I don’t get offended if Japanese person talks to me in English, even though I am part Japanese. I take it as respect. I sometimes walk to Japanese-Americans, mistaking them to be Japanese from Japan, and speak in Japanese(many do not know Japanese I found out) and they politely say they do not understand. I see it as both a sign of politeness to speak to me in the language they feel is my native, and also they wanna practice their English. Their attitude changes because they are nervous. I get VERY shy and quiet when I speak in Japanese, and I say “um” a lot in Japanese too. Actually, same in English. My shyness sometimes might make them feel maybe I do not like them, and that’s common because some Japanese people don’t think they are very popular among foreigners so we are already feel like “They probably don’t like me much”. But not everyone thinks like that I assume. and they will try even harder to hide their true feelings as well, so be carefull and try to maintain eye contact with them then you’ll know their true emotions(well at least their expressions resembles their feelings). It is true that Japanese people, in general, treat Asians and Caucasians differently. Even their smiles are different. Many Caucasians who visit or live not long enough years in Japan might think that Japanese people are really friendly but I hardly hear it from Asian visitors. Discrimination doesn’t seem to be so much a bad thing in Japan. I don’t even see that they are careful about it. 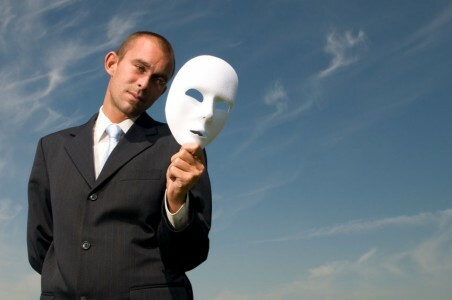 The culture of masks, even in couple’s lives. I hear lots of negative comments about their Japanese girlfriends/wives from gaijin men who live with them more than ten years. You’d know about your partner pretty well after a few years together normally but you won’t know your Japanese partner forever. Sometime it is necessary to change yourself for your partner and family. But Japanese wives don’t change themselves for you or own family after all. This ends up not understanding or knowing your Japanese partner forever. Whenever I see new couples with Japanese partner, especially women are Japanese, I can’t get rid of this feeling, those men are living with time/sleeping bombs. There is no doubt that foreigners get treated differently for sure and some times I am not even sure if its a good thing or a bad thing but its even worse when 2 foreigners get treated differently by the same person. For example I am an Asian foreigner and my husband is British. When we visit our local Family Mart the man at the counter always speaks to me in Japanese but when he sees my husband he speaks in English. He usually ignores any idle chit chat with me like “its cold today…” things like that but if he sees my husband he is quick to speak in English. You could say that perhaps I look Asian so he assumed that I am Japanese but that’s not the case as he knows both of us are foreign….and I don’t know why it but really annoys me and its not just with this one person a lot of others treat “foreign” people differently from each other and I just don’t get it. Of course my husband and I joke and laugh about it but still….anyone has similar experiences to mine? If you don’t want to act Japanese then don’t live in Japan. The whole point of migrating successfully somewhere is to assimilate. Don’t disturb another country’s culture- if you don’t like it then go back to yours! I think japanese people should not expect foreigners living in Japan to behave and act like them, in any situation. They are so perfectly behaved, sometimes its annoying, really. I think it is not a problem with Japanese people and gaijin…myself having grown up as a bilingual English-Spanish speaker, also change a bit when switching from English to Spanish and viceversa. Even the pitch of my voice gets a bit different, and that is because culturally there are some cultural differences between American and Latin American culture. But of course, these perceptions differ at ‘superficial levels’ of communication. I’m sure that even though people seem different in expressing themselves, the deeper the bond becomes, you will end up seeing the SAME PERSON through any language. For example, my husband, Japanese, comes across as more happy-go-lucky and flighty in English, and as a more majime type of person in Japanese. In the end, he is a balance of both, but each language showcases one aspect a bit more than the other. Same goes for me for English and Spanish. And in Japanese, I guess I come across as more lighthearted than usual. It can’t be helped much, but I’m sure it is usually not done on purpose. Some people do and some people do not. Regardless, and pardon the closeted libertarian in me making a brief appearance, people should treat others as individuals and be expected to be treated as individuals. When strangers come up to me and start a conversation in English, I ask them–in Japanese–“Is that English?” followed by “Why?” It has not failed me yet in getting others to think about the vast world we live in. It depends entirely on the person to be honest, some old people love us (foreigners) some old people don’t. Some young people think we’re hip and trendy some young people get scared.